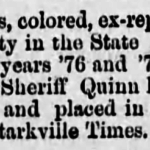 Born into slavery in South Carolina, Chiles was brought to Oktibbeha County by John M. Chiles in 1837. According to an 1879 newspaper article, he was committed to the state asylum. 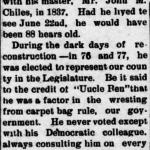 Ben’s younger brother, George Washington “Wash” Chiles, was a mail carrier, a member of the Board of Education Commissioners, a member of the police board, and a Mason. More information about him can be found in Henrietta Outlaw’s slave narrative in George P. Rawick’s The American Slave: A Composite Autobiography, Supplement Series I, Volume 7, p. 391. 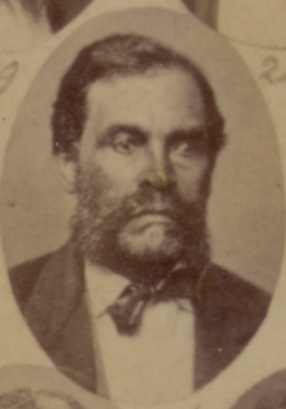 “Colonel Muldrow, a man of marked ability, afterwards grand cyclop of the local Ku Klux Klan and congressman for years from the Oktibbeha district, was elected a member of the State legislature along with Ben Chiles, an ignorant colored man, at a time when there were eight hundred more negroes than white men registered in Oktibbeha county. As Muldrow voted so voted Ben Chiles. 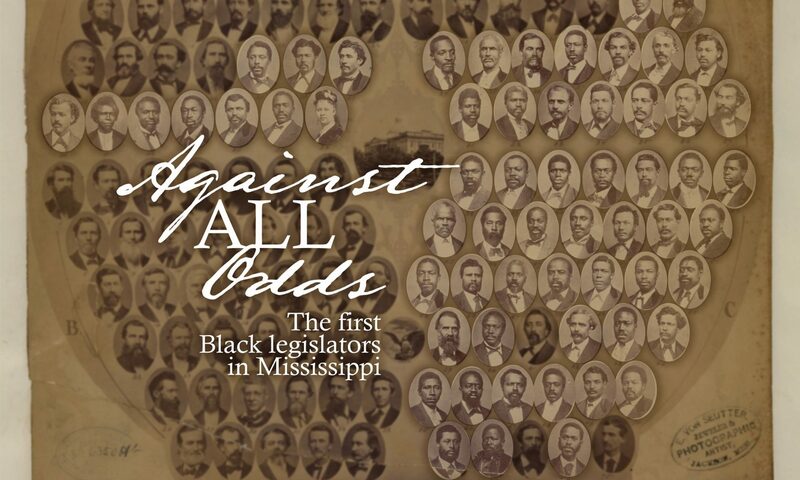 Whenever a vote was called for or an opinion asked, Ben would say ‘I must see my friend Colonel Muldrow.’ It was well for Oktibbeha county and the State that Muldrow was there and that he was consulted.